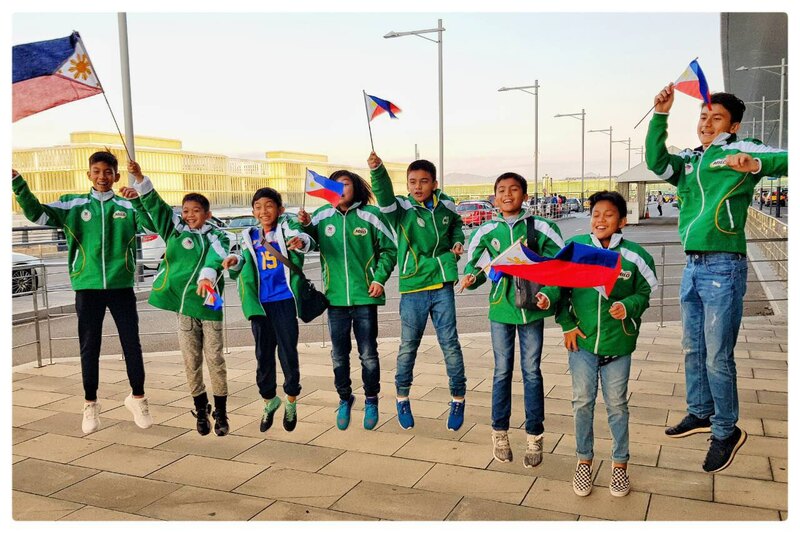 MANILA, Philippines, November 2017 — The MILO FCB Road to Barcelona program recently culminated in a nine-day journey of extraordinary football opportunities, multicultural camaraderie, and unforgettable memories for the very first Philippine delegation. Joining 55 other players from different countries namely Australia, Colombia, Jamaica, New Zealand, Tahiti, Thailand, Singapore, and Panama, the Philippine team, composed of nine talented football players, embarked on a once-in-a-lifetime training in Barcelona Spain that proved to be the biggest milestone in their promising journey as athletes to date. The delegates’ ultimate champion experience began at the home stadium of FC Barcelona, Camp Nou. Here, they were taught the theoretical foundations of playing the Barca way, followed by an awe-inspiring tour of the entire football mecca and its in-house museum. No doubt, celebrating the club’s rich history in its home court, walking the halls of the arena, and stepping on the pitch where their idols play was a mark off on these kids’ bucket list. 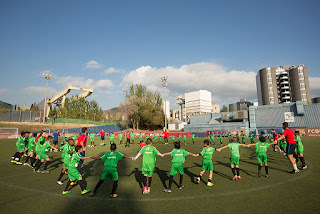 They underwent a series of football clinics over the next two days, led by the coaches of FCB Escola, the youth academy of FC Barcelona. 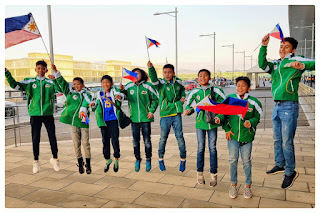 This gave the Philippine players a chance to interact with the their fellow delegates, make new friends, and talk about their passion for the sport with kids their age. Under the tutelage of the coaches, the players were taught custom club drills and the principles of Tiki-taka—a style of play characterized by short, effective passing and movement during possession. Outside the trainings, group activities like bowling, football freestyle, and other games strengthened the bond these kids had with one another. Another highlight of their trip to Barcelona was being able to watch a marquee football match. Seeing football icons Lionel Messi, Luis Suarez, Gerard Piqué, Andrés Iniesta, Sergio Busquets, and the other stars of FC Barcelona play in the flesh was a surreal moment for the kids. Treated to premier seats for an impressive view of the action, the children cheered their hearts out as FC Barcelona prevailed over Málaga CF. During the tour of the city and its famous attractions, the participants marveled at Barcelona’s distinct architectures and cultural landmarks, and even had their pictures taken at the Sagrada Família and Park Güell—scenic masterpieces by renowned Catalan architect, Antonio Gaudi. The MILO FCB Ultimate Experience further thrilled the Philippine team as they were part of the select markets to participate in an intimate training session with FC Barcelona legend, Eric Abidal. It was a privilege for the players to learn firsthand from one of the most revered defenders of the sport, who not only facilitated the drills, but also imparted some words of encouragement on the importance of team play and hard work to the youth present. “My favorite part of the trip was making new friends with other young football players from different countries and the training we got from FC Barcelona. It really helped me become not only a better player, but also a better person altogether. I learned that when you score or make a goal, it’s not your goal. It’s your team’s goal. It’s a team effort. I hope I get another chance like this in the future,” shared 10-year old delegate from Cebu, Ethan Jacob Roxas. “MILO is very proud and honored to have given our young players this ultimate champion journey in Barcelona, as they are truly deserving of it. We recognize how this experience has inspired them further as they pursue success back home on and off the pitch. It is our hope that this values-driven partnership with FC Barcelona will continue to give hope to more aspiring athletes in the country,” said Robbie De Vera, Sports Marketing Manager of MILO Philippines.